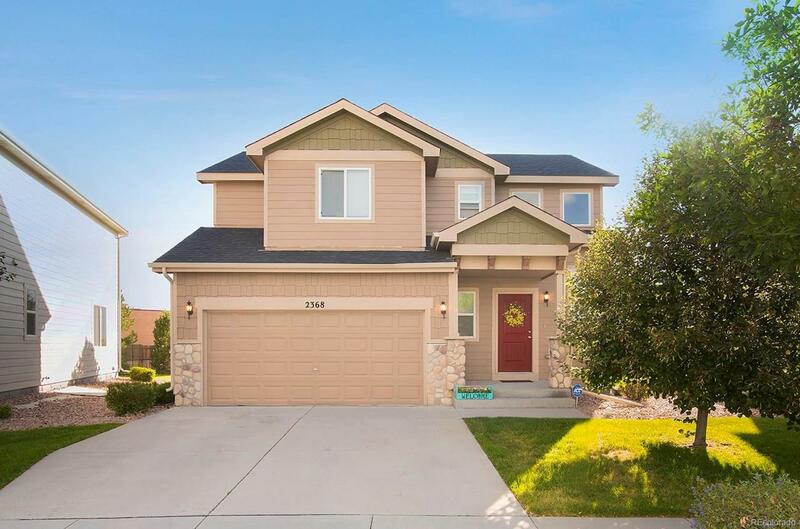 This spacious well maintained 2-Story home is Move-in-Ready and boasts an impressive Open Concept Floor Plan, Large Master Suite, Private Bathroom, HUGE Walk-In-Closet & VIEWS of the Mountains! *Living Level Laundry Room *Gourmet Kitchen w/ Stainless Steel Appliances *Espresso Cabinetry w/ Crown Molding *Beautiful Flooring *HUGE Pantry *Lots of Counter space *HUGE Backyard *Neighborhood Park *Central A/C *ALL Appliances stay! Minutes from Fort Carson, I-25, shopping and restaurants! *HURRY THIS HOME WILL NOT LAST LONG!